Hollywood smiles flawlessly. Often this perfect smile is not only good for human vanity, it is also good to imitate from a health-related perspective. It is not uncommon for the work of highly modern dentistry to be found behind the smiling faces of the stars. The most common of these is the replacement of missing teeth with implants. The artificial tooth roots are fixed into the patient’s jaw and a high quality denture is placed on them. They don’t differ from the person’s own teeth in terms of aesthetic and function or feeling. The significant advantage of this technology lies in the maintenance of the bone substance in the jaw as the pressure exerted by chewing continues to be balanced. With dental implants, individual teeth can be replaced, large gaps closed and even entirely toothless jaws filled. Bei bestimmten Ausgangssituationen nutzen wir im Rahmen der Implantatdiagnostik und -planung dreidimensionale Verfahren, um die größtmögliche Sicherheit zu gewährleisten. 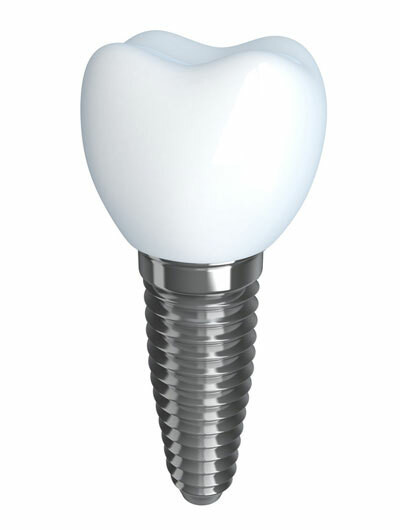 We carry out implant surgery in our modern operating department. In the case of major treatment or patients who are anxious, this can be carried out gently and in a stress-free manner under general anaesthetic. Your treatment providers, Dr Dr Winand Olivier, MSc. and Dr. Ralph-Ansgar Strässer have many years of experience and high levels of skill when it comes to dental implantology. They speak at events including national and international conferences on current developments and innovations in this field. You can find current news and information about our dental clinic and news related to dentistry on our Facebook page. . Find us there and become a fan.